More and more people are choosing to do their holiday shopping and celebrating locally, avoiding holiday frustrations while supporting neighborhood businesses. Easy to do in Dogpatch with our abundance of district makers, curators and cooks! The Dogpatch Business Association has organized a tour of participating retailers, restaurants and bars with pop ups, sample sales, beer and wine tastings and complimentary seasonal treats. The Museum of Craft and Design is hosting a day of ornament making. 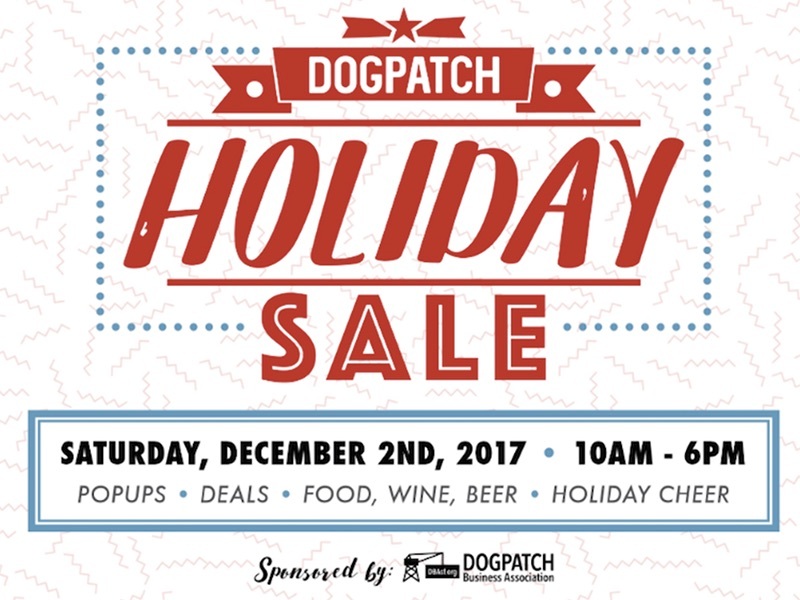 Find more details at Dogpatch Holiday Sale. The GBD will contribute to the Dogpatch holiday atmosphere by decorating at Woods Yard Park. Join us after a day of shopping for lights, cookies, music and neighborly fun. 6:30 PM Saturday, December 2.